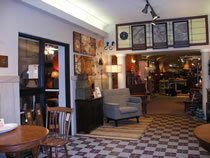 Looking for the best furniture sale Columbus, Ohio has going means all roads lead to Amish Originals Furniture Co. In fact, when it comes to finding the best of any type of Columbus, Ohio furniture there is only one name worth checking out and that’s Amish Originals Furniture Co. When it comes to having the best in selection, quality, service and pricing there simply is no better place to shop. Speaking of pricing, even our everyday prices are low enough to practically qualify as sales prices, especially when you consider the quality of furniture you get for that price. Yet some shoppers love to hunt and find a good bargain, and for that reason we also have our clearance section. You never know what you’ll find when you shop the best sales among our clearance section. We are always working hard to keep new products coming in, which means some of that the merchandise makes its way to our clearance section. The great news is that you still get the same high quality Columbus, Ohio furniture for an even more deeply discounted price. All of the items available at Amish Originals are hand crafted and you get to choose which woods they are crafted from. There are many beautiful items available in both treated pine and poly lumber. Choose from tables, chairs, swings, gliders, love seats, foot rests and much more for your yard. You can even find gorgeous rocking chairs and coffee tables that are made for the outdoors. You will be able to make your yard so comfortable that you may never want to go back inside again. You may never have even shopped for Amish furniture before, meaning you aren’t already aware of what we have to offer you here at Amish Originals Furniture Co. When it comes to shopping for Amish pieces, it is important to understand you are getting the best that’s available. From the wood used to the finishing process, this is nothing but the highest of quality. Here are some of the important details you should know about Amish furniture and the building process behind it. All of the pieces are made from the best solid America hardwoods, so the pieces you get will come from the same kiln-dried quality lumber each piece is made from. Pieces are custom built to order so you know every piece is truly one of a kind. Sometimes several generations of the same Amish family are working together to create the pieces that will soon furnish your home. The building process utilizes all handmade steps from techniques passed down from generation to generation. From sawing and sanding to dovetailing and fitting, all of this intricate work is done by hand. The end result is the highest quality, one of a kind piece that is sure to be handed down for generations to come. So when you shop for the best furniture sale Columbus, Ohio has to offer make Amish Originals Furniture Co. your choice. It’s about more than just buying furniture; it’s about investing in handmade pieces that are sure to become family heirlooms.